We are a family of passionate gardeners producing robust and vibrant edible plants for others to nurture and grow their food from. Our aim is to take away the mystery of growing food, and to help and encourage everyone to give it a go, no matter what their gardening experience, or the size of their garden. Has been involved in gardening all his life, in one way or another. Inspired at a young age by his gardening grand parents, he is now helping both old and new gardeners alike enjoy their gardens. He has previously run a certified organic market garden and seedling nursery in California, and was actively involved in the Seed Savers Exchange Network. An occasional garden designer and landscaper, his main focus now is the growing of strong healthy plants. As a Natural Health Therapist she brings an holistic health-based focus to the growing of organic food. Her love of gardening and desire for highly nutritious food for the family, has led her to become focused on variety selection and nurturing soil health. In addition to being full time Mum to Hazel, she is the goat guru, cheese maker, and handles the majority of seed sowing. When we moved to our 10 acre Organic property 9 years ago, the first thing we did was hand dig some beds to grow food. To us this is the most basic and fundamental job…we need to give ourselves and our families the best nourishment we can. 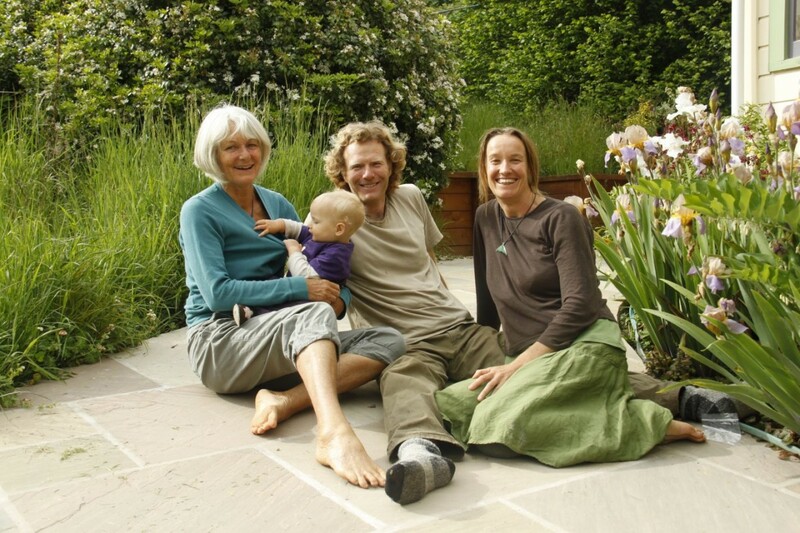 From these humble beginnings we’ve developed a plant nursery and gardens which we run on Biodynamic principles. Together with Nana Lyla, who helps with a lot of the potting on, and two year old Hazel , who loves to water, we feel proud to help our local community grow food for themselves, as well as nurturing ourselves as a family in the process. We specialise in older Heritage varieties, and are passionate about saving our own seeds for the seedlings we grow. As well as our range of seedlings we also grow lavender for essential oil, hazelnuts, and share our property with a small herd of goats, who provide us with our milk and cheese, plus a few chooks who give us valuable fertiliser for the garden!